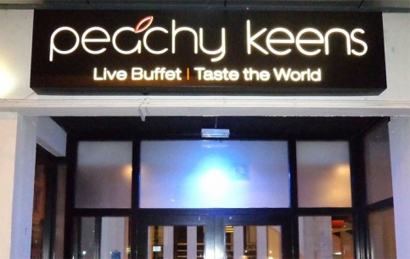 The annual NADJ Wales Social Night will take place on the evening of Sunday the 10th of February at Peachy Keens world buffet restaurant in Newport from 7pm. No tickets are necessary, as visitors just pay the standard entry fee to sample the many dishes on offer. The gathering is open to all DJs (members and non-members of the National Association of Disc Jockeys alike). Most of the NADJ Wales Branch committee will be in attendance as will many of the National Committee members as a full meeting will be taking place the following day in South Wales. This social gathering is an opportunity for DJs to let their hair down after the (hopefully) busy Christmas and New Year festive period. It will also be a great chance for putting names to faces and sharing DJ related ideas and gig stories with fellow DJs. The restaurant menu can be found here: www.peachykeenswales.co.uk and the full address is 62-65 Bridge Street, Newport, NP20 1AZ. The NADJ Wales team have created a Facebook Event and DJs are encouraged to use it to let them know if they are planning to attend. Any questions regarding the event can be directed towards the NADJ Wales branch committee, their contact details can be found here.